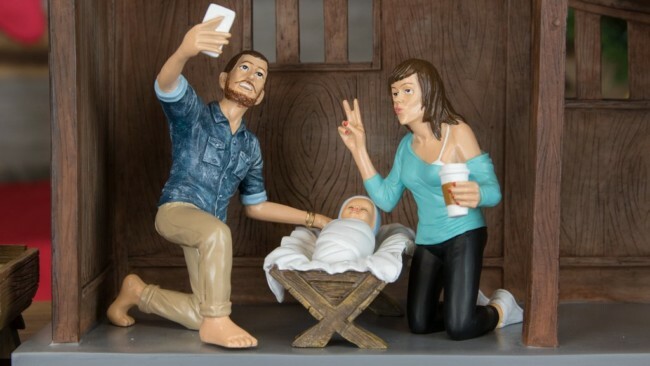 Nicely done hipster nativity makers. 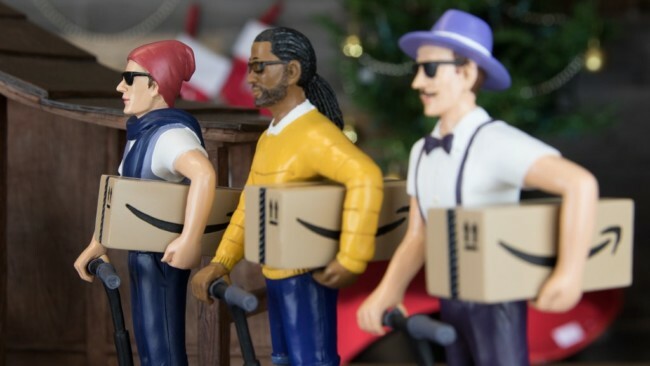 The three wise men ride on Segways bearing gifts from Amazon for the newborn. Mary holds her Starbucks and pouts. She looks more than tad high. Joseph is taking a photo of his own head. 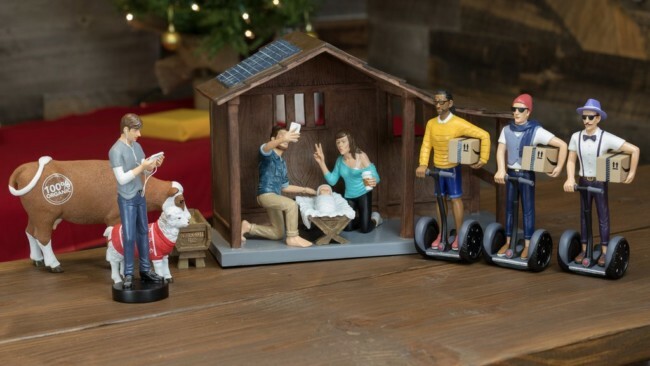 The bard has solar heating; the sheep has a jumper; and one of the wise men is sporting a waxed ‘tache.